The strict linearity of an object marked by sophisticated essential shapes. 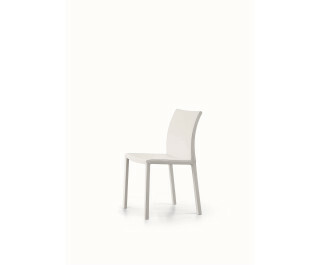 Mirta has a steel frame and shrink-resistant rubber padding; the upholstery is in eco-leather, leather or emery-leather. Another two chairs featuring a soft and stylish silhouette complete the collection: Marta and Milena.